Based on my own personal experiences and mistakes, I do not recommend storing these foods in large quantities, long-term. Let me know what you think of my list and what other foods you would add. This may seem obvious, but I assure you, there are thousands of preppers across the country who have shelves and shelves of canned who-knows-what and #10 cans of why-did-I-buy-that! Don’t assume you will fall in love with slimy, aged canned apricots five years from now if you detest apricots now! Canned veggies and fruits aren’t nearly as tasty as fresh versions, so if you decide to store them, make sure you really like them. I know that canned tuna is a staple in many food pantries. However, I’ve discovered that after a couple of years, canned tuna becomes mushy. Now, if you love the taste of tuna, you may not mind the mushy version, but for me, I really didn’t like it. Also, tuna from various parts of the world has been known to contain mercury and other contaminants. If you have stored tuna, why don’t you find the very oldest can, open it, and see if your results are different from mine? Try this for each brand of tuna you have to see if one brand holds up better, long-term. As flour ages, it can develop a stale, rancid smell. Additionally, it likely contains the microscopic eggs of flour weevils, which will hatch at some point. To get the longest possible shelf life out of flour, first, place it in an airtight container and freeze it for about a week. This will kill the insect eggs. Then, before storing it, add an oxygen absorber or two, depending on the size of the container. Still, you can expect a shelf life of 18 months or so from flour, which is why most preppers prefer to store wheat. Wheat is more versatile and is one of my Top 10 Foods to Store. Just for fun, take a sleeve of saltine crackers out of the box and set them aside, at room temperature, for 3 or 4 months. You’ll never get over the stench of rancid saltines! If you must, you could store them in an airtight container with oxygen absorbers, or learn how to make them from scratch. Buy and enjoy saltines but do rotate through them and don’t depend on a giant stash staying fresh a year from now. I didn’t think our family favorite, graham crackers, could go bad, but they do go rancid with time. Again, you can repackage them in an airtight container using oxygen absorbers, but that’s a lot of extra work. You can also store the ingredients to make homemade graham crackers. Have an extra 3 or 4 boxes around is quite fine. Just remember to rotate and use up the oldest crackers first, while storing the newly purchased crackers for later. These are not packaged for long-term storage, likely contain GMO ingredients, and probably contain a lot of additives that you would just as soon not consume. However, I know they’re a quick and handy breakfast food, especially if you have kids. If you must store them, again, rotate and repackage them for the longest possible shelf life. Stock up on oatmeal instead. Personally, I have always stored a number of canned tomatoes, tomato sauce, and tomato paste, but then, we use those products often in our meals. Over the years I have heard more complaints about canned tomatoes than any other canned foods: the cans leak, they bulge, a seam opens. If you store these, be sure to rotate through them and plan on growing your own fresh tomatoes so you’ll have those to rely on instead. Again, these aren’t bad, but for long-term storage, they won’t last nearly as long, mold-free, as commercially dehydrated foods. This is because we have no way of measuring the actual moisture content of our home-dehydrated foods. We dry them, “until crispy” or “leathery” but those are pretty subjective measurements. Commercially dried foods are tested for moisture and then packaged in a container in which most or all of the oxygen has been removed. If you dehydrate your own foods, and please continue to do so!, just keep in mind that it has a shelf life of a year, maybe two, and rotate through them. There really is no need to store brown sugar if you have granulated sugar and molasses on hand. Molasses has an extremely long shelf life, as does sugar, and when you combine 1 cup of sugar with 1 tablespoon molasses, you have freshly made brown sugar. When a bottle of Kraft ranch salad dressing is the same color as Thousand Island, you know something went very, very wrong on your pantry shelf! That was our experience just last week. About 4 years ago I used a number of coupons to buy bottled salad dressings for my brand new food storage pantry. I didn’t stop to think that I usually make my own homemade dressings, so here these 8 or 10 bottles sat. Needless to say, we tossed them into the trash. It’s too easy to make homemade from fresh or shelf-stable ingredients, so forget the store-bought dressings unless you rotate through them fairly quickly. Instead, stock up on oils (but be sure to rotate them as oil becomes rancid rather quickly), dried herbs, True Lemon to provide lemon juice when no fresh lemons are available, and any other ingredients for your favorite dressings. Please keep in mind that I’m not saying to never buy these or never have a few of these on your shelf. They just aren’t good candidates for long-term storage, so don’t stock up on them in large quantities unless you really are going to rotate through them on a regular basis. My class, The Top 10 Foods to Store, will guide you toward making the very best and smartest decisions when building an emergency food pantry. You can check it out and get all the details here. What foods would you add to this list? What have I forgotten? Maple Syrup is another that needs special consideration. I bought some a while back and assumed it was like honey and would stay good on the shelf. Nope turns out its higher water content makes it a great place for algae growth. I’m pretty sure its fine to store on the shelf till opened, but after that it has to go in the fridge. I live in maple country. Yes, unopened maple syrup is good long-term. Once opened, store in fridge. If it gets moldy, scoop off the mold on top and then strain all the remaining syrup through clean cheesecloth and reboil. Voila! Once again edible. Thank you for the information on tuna. I never even thought about radiation… We normally buy albacore tuna but which doesn’t seem to go mushy but the radiation levels never crossed my mind. I buy salmon (wild caught) and sardines from N. sea (King Oscar) I never liked tuna anyway. On the molasses, cane syrup should also keep long time. good info as to how long shelf life is on various foods. It’s not been my experience. Crackers, cereals and dehydrated food all store very well for about 2 – 3 years if they are packaged via a vacuum sealer in a Mason jar. Saltines? Really? Have you checked them out since you stored them? Physically they look fine, but when you open the package, they’re awful. I did the crackers storage test–after two years, the saltine crackers in the sleeve plastic was horrible. I then vaccum sealed in jars and no better results. So, I oven canned in mason jars for 2 hours @ 225°, immediately applied the lids and they sealed. The shelf life so far is 1 year–yep–12 months and the crackers are awesome. I’ll try longer and test every month or so. I read crackers have oil, so possibly oven sealing is ridding crackers of the oil?? Anyhow, since I have cases of peanut butter, having crackers is crucial–I just buy a few boxes every 3 months and oven seal. Interesting!! I will give that a try, since we really do like saltines. Have you tried sealing the jars using a vacuum sealer? I also have jars of Ritz and today will store more ritz from Sam’s club. Oven canned…vacuum sealed in mason jars. I know this is an old post, but I’ll share my experience anyway. I bought 50 pounds of bread flower in 2015 and just finished it in 2018. I repackaged it in mylar with O2 absorbers and it was fine right down to the last of it. I kept it in my basement so it was a bit cooler. I did freeze it first and allow it to warm up before I sealed it. Hope that helps those with questions. I would never have thought that tuna would go mushy. And I also thought that cereals would be ok too. Thanks for the tips. I have some still good after 4/5 years. Generic rice crispies, cheap rolling oat cereal, and fruit loops. Strange; some are good and some are bird food when I open, so I’m not discarding till I open and test. Remember that “chunk tuna” is mushy right of the shelf. If you buy solid white albacore you may have better luck. ???? Mostly, I agree. Tomatoes, and tuna need to be rotated well. I don’t keep more than a years worth. Cereal…seems to do fine within a years time too…none of it is very good for you..but, sure. Helps in a pinch! We only buy and store things that we use all the time. First in, first out is my rule, so most of those things you recommend not storing get used up before lack of quality is an issue. The stores have to be rotated! Prepping is not a one-time thing, right? it’s a lifestyle. If we’re keeping cans long enough to get slimy, then there’s a problem in the rotation. As for flour, it can be canned! you can process flour in canning jars in the oven, just like you would fresh veggies. It gives it a different flavor, but not as bad as stale flour. This can help with the shelf life, and kill weevils. Am I wrong? I pretty much agree – I’d say to not buy these things for LONG TERM storage. But for ‘general storage’ – buying in bulk when on sale and using in a year to 18 months, I keep these things around. I can easily go through 3 5 pound bags of white flour a month as things are right now, and usually keep 14 5 pound bags in reserve. For some folks that would be a lot, for me that’s an under 5 month supply. I use on average at least one 28 oz can of tomatoes a week (more in winter, less in tomato season). So it would be reasonable for me to keep up to 52 cans (bought or home canned) on hand. But my long term storage foods are different. Whole wheat berries, which I grind myself for baking (yes, I use some of that in my everyday cooking, to keep the family used to it). Whole beans, which I probably wouldn’t store more than 5 years, but are also part of our daily diet. Preparedness supplier, nitrogen packed dried fruits and veggies – which we don’t eat regularly, but which are close enough to home-dehydrated that I feel we’d easily make the switch. It’s a balancing act for me. Exactly! 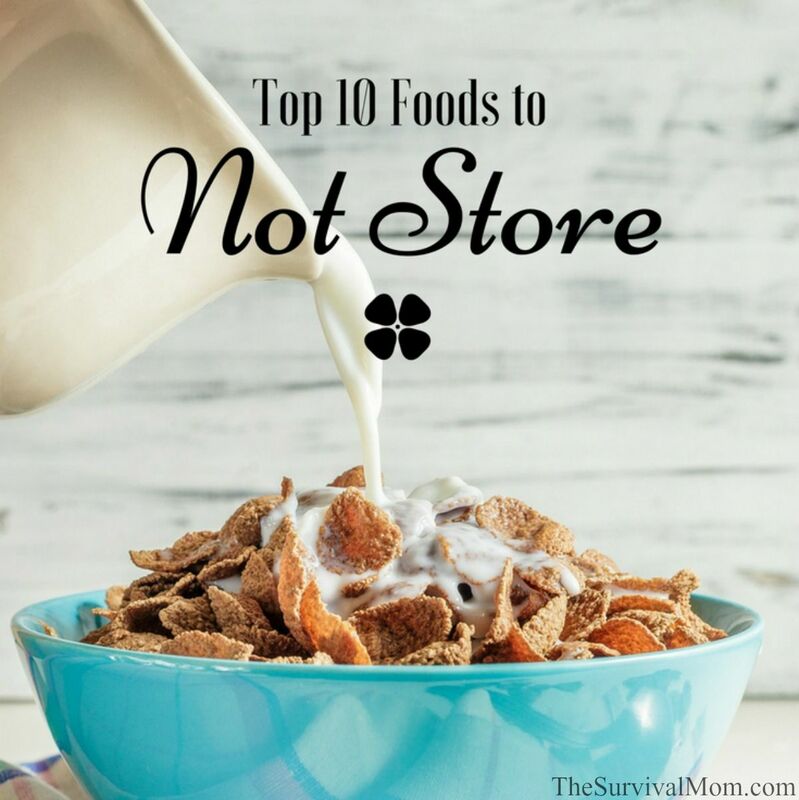 At any given time we may have some of these foods in our kitchen pantry or food storage pantry. It’s when you stock up on them, assuming they will be fresh and good-tasting years from now that you may run into problems. Saltines are the one that drive me nuts. I’ll buy four boxes and three get eaten in a month – then then the last one sits until it goes bad. My family just DOES NOT seem to be able to not binge on the darn things! I definitely plan to learn how to bake my own. We often have a dozen bottles of teriyaki marinade on hand, but the kids go through an insane amount of the stuff so it doesn’t go bad. I have wasted a lot of cereal buying ahead and having it go bad, so I don’ t do that (on purpose) anymore. I’ve found that peanut butter stored longer than 6 months starts to taste old. Catsup and any creamy salad dressing, mayo become old tasting and their color changes. You are right on about saltine crackers. We have only used homemade ketchup for a couple of years now. The store bought stuff is too sweet! Where can I finf a good recipe for ketchup? Yes, I’ve had better luck with pilot crackers than saltines. We’re trying not to have to take a loss on our tomatoes, but some might not be “best” soon. I actually haven’t had the same problem with saltines. We go through them quicker though. And only keep one Sam’s club mega box at a time. But even when I find a forgotten sleeve somewhere (drawer at work or glove box) they never taste bad to me. Maybe I just don’t react to “rancid” as strongly as most do. I have a compromised sense of smell -maybe that explains it. Thanks for the list, always glad to hear what not to store, haven’t been storing for long but I am off all summer and picking up the pace. Also, decreasing as much clutter as possible. I have discovered that anything stored in oil (such as tuna packed in oil) gets rancid very quickly ~ within a couple years. I was wondering if someone could expand on the home-dried foods comments; I dry mushrooms that I don’t think I can get used up all the time; I put them in a mason jar and keep them out of the light. I’ve never had any problem with them; and I have kept them for up to six months. My grandmother picked mushrooms in the hills until she was 95 and her eyesight went bad. I am 75 and I have some of those dried in the air mushrooms. They have to be fifty years old now. She died at 103 in the 80s. Any way we just put bay leaves in with to keep bugs out and keep the jar in the closet. They still taste the same as they did when fresh. No problems with any thing. The old ways still work. Thank you for an informative site with great ideas! I’m one of those who tolerate mushy tuna if it’s in a pasta casserole. I also don’t mind the flavor of certain brands of peanut butter up to 3 years past best by date. If it tastes rancid, don’t eat it, the fats are not healthy.. but if PB tastes okay, it is okay. Humans detect rancidity very well. Another “old” thing is plain, oil packed sardines. 2 or 3 years past the bb date, they become more delicious. Longears, I wish we could learn all the valuable wisdom you have stored in you from your grandma, as well as your own life experiences. You are surely a treasure to those close to you. Maybe you could make a blog too! Could you post a link to making dressing with shelf stable ingredients. I am guilty of buying to many bottles for storage. Not Saltines. Ritz crackers. 🙂 I wonder if it makes a difference if things are stored in the dark. My stuff is stored in a very cool dry cellar and rotated out every 2 or 3 years. I recently bought a “seal & vac” and sealed 3 tubes of Ritz at a time. Added 1 oxygen absorber to be sure and am hoping for the best. I left the crackers in their tube and the vac seemed to work great. Stored in cellar in dark cool area in 5 gal buckets. They should last 4-6 years, ? or longer? Right? Opened a vacuumed sealed jar of unsalted soda crackers that have been stored over two years. They look good but when opened the jar, there was a strong rancid smell. Going to toss them. I try not to store any food that is packaged in a plastic jar or bottle. Plastic is oxygen permeable, so foods such as mayonnaise, catsup, peanut butter, BBQ sauce, salad dressing, vegetable oil, etc. if packaged in plastic containers will not store nearly as well as the identical product packaged in a glass jar or bottle with a metal (not plastic) lid. It is getting more and more difficult to find products, such as Dijon mustard and raw honey, that are packaged in glass jars. I also avoid anything with high fructose corn syrup. Most corn, except popcorn, grown in the US is a GMO product and corn syrup is greatly condensed GMO. It is amazing the amount of corn syrup in common products. Have you ever tried to buy jam or jelly or BBQ sauce that does not contain corn syrup? Or most types of candy? A lot of candies are made with a huge amount of corn syrup and it is getting more difficult finding jams, jellies, condiments and candies made with real cane sugar (so far not a GMO crop). And I’m careful to make sure the ingredients list specifies cane sugar not just “sugar” because that usually means part or all of that ingredient is beet sugar and sugar beets are another heavily GMO crop. I avoid any type of whole grain product (crackers, dried pasta) for my food storage because whole grain flours tend to go rancid much sooner that products made with bleached wheat flour. I also don’t store brown rice or whole grain barley because those grains, unless kept frozen, tend to go rancid much more quickly than the other intact grains that I store for grinding. Lots of great information shared today! And I agree, a like button would be a wonderful addition! LMBO at Mike’s comment about his “smelling”! In addition to rotating items, I would add that I use the “time change” dates to completely go through my supplies. Twice a year when the time changes I always do two things… check the batteries on the smoke detectors, and double check the dates on my food storage items. Anything set to expire before the next time change goes right into the pantry for immediate consumption. I also double check the dates on things like medications at this time. That’s a great tip, Jennifer! Very useful information! I am going to follow your lead. Wonderful ideas! Whoa..I’m opening tuna I bought 4 years ago and it is fine. Saltine crackers are vacuum-packed in mason jars–I must have them for my PB. Also, I have breakfast cereals for 4 years and they taste fine…so far. They will likely taste okay but they’ve lost nutrients. Over time foods can lose flavor, texture, nutrients, their appearance can change. It happens to all foods. 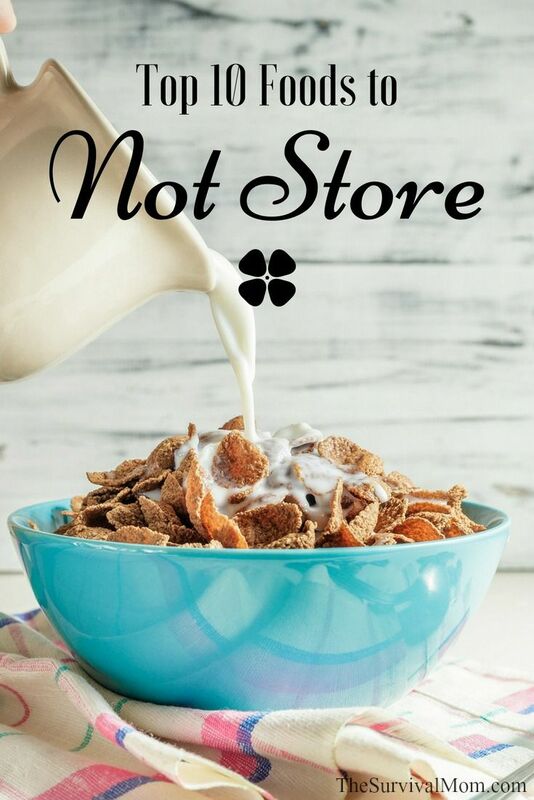 If your cereal has been stored in something other than their original packaging, the shelf life can definitely be extended. I discovered the plastic sleeve is the culprit. Vacuum-packed in mason jars without the sleeve. Temperature and humidity are huge. Cool & dry lasts much, much longer. I could not find the reference, but I am sure it was something like a month or so longer per degree of coolness. Humidity ruins almost everything. Drastic changes in temperature create moisture issues. As a professional banquet chef, i had to store large quantities of food, and my storage room was very hot from all the coolers running next to it. I found my crackers were awful in a month. I moved the storage to a cool area, away from the kitchens, and never even thought of stale crackers again. Canned goods are also very temperature sensitive. Long lasting food storage means dry things are very dry, everything is kept dark and cool, with good air circulation. Metal and glass air tight containers with minimal air. Never vacuum seal sugar. Cheap or poor quality food does not get better with age, quality food lasts longer. The tomatoes or peaches in that can are not going to be actual top quality produce, they sell that to chefs, etc. NO DOUBLE DIPPING. Do not serve out of large containers, and remove needed amounts using perfectly clean tools. A seasonal place I opened in the spring one year had a large spoon left in a bucket of last forever commercial margarine over the winter in the cooler. The molds were growing on the spoon in the shape of a hand print, and on the rim in finger prints. Nothing on the margarine. Ewwww! I am learning to root cellar, and had a pumpkin today and a squash a few days ago that were very sweet and full of flavor in June, that were harvested last September. They like warm and not too dry. My potato experiment failed and they froze, but it was -40 for days. Still got a few for planting. Full on root cellar and ice house are next projects. I need a cheese cave too, and a hot house for cocoa or coffee or citrus, oh my. I also can grow almost my whole menu, with a cow and some chickens, but I would need more room to grow all that food and feed. I do a little of each in a seed bed so I know how to grow things like wheat and sugar beets. My neighbors have more than enough room along my garden to expand in a few directions, and even some fields and pastures not being used anymore for anything but hay. They have already invited me to expand my plans over the property lines as I like. They like eggs and fresh food too. Cheese was too important to give up, so I own a cow. Wow to real butter and cottage cheese, and having enough milk to bath in if I like. I suppose then I would need more honey too. I am a food history buff, the nerdiest hobby in the world until you are hungry. My long time interest is suddenly trendy. I used to be the weird tomato lady, now I am the heritage tomato lady. We all eat, and exchanging food, giving it away, has a very spiritual aspect in a community. Sharing this kind of information is the same kind of gift. Thank you. Saltine crackers; dry can them and they will last for years and taste like they were new. What do you use as an oxygen absorber? 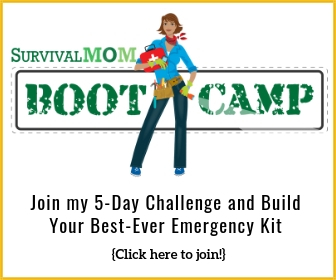 O TheSurvialMom…now you have jumped the shark ( I am not really sure what that means but I keep reading it ) about the Tuna! I have been canning Tuna, bought from the boat at the dock ( Newport, Oregon) since 1985. I am currently eating Tuna that I canned in 2008 and there is a very slight difference in taste from fresh canned..but the texture has not changed at all…still comes out of the jar firm and flaky. It is very good when mixed with a couple packs of Top Ramen. I was aware of the Fukushima ‘radiation’ but all I can find on the Net is heresay. So last year I did cann up another 300 pounds and now have 150 pints in storage and am glad to have it…I probably wont even start eating the 2012 Tuna for another 4 years – I still have 80 – 100 pints of the 2008 to eat. Question about saltines…I uses 5 gallon Corny Kegs, those stainless steel soda kegs, for all my loose stuff, beans, wheat, rice, etc. The kegs are nice becuase they are very easy to purge with Co2/Notrogen and then pressurize. Anyway, I was looking to store 20 gallons or so of the Oyster crackers…what would you think the self life of those would be and have you seen anywhere on the Net taht has Oyster crackers in bulk bags? I wonder if my tuna experience is because of the brand or type I bought? I wasn’t expecting mushy tuna, that’s for sure! Thanks for telling me about Corny Kegs. That’s a new one for me. I’ll check them out. Check Amazon for oyster crackers. It looks like you can buy larger quantities but they are packaged in small bags. As far as shelf life, since you’ve had good luck with the Corny Kegs, I’d try those first. It seems that oxygen is the main culprit with saltines and my guess is that it would be the same for oyster crackers. Let me know your results in a few months! Lol. Jumping the shark is a term that refers to the t.v. series “Happy Days,” when Fonzie literally “jumped the shark” while they are vacationing. The show had been successful for many years, but after that episode, everything went downhill and the series was cancelled. The term “jump the shark,” refers to an altering moment when something starts to slide downhill. Well, I always learn something new from you….but this is just depressing. There is just my husband and I. I got my food organized in a closet and was so proud until realized I had no where near enough food. I am trying to rotate most things. I haven’t started with long term food, except for white rice and a variety of dried beans. I just get discouraged, I think I am progressing with my prepping and then find out there are problems with storing some common foods. I started a small garden this year and some vegetable in containers. The container tomatoes are doing ok looking health, but much less produce than expected. Other than cherry tomatoes I only get one or two tomatoes per bush. My raised bed is a disaster. I planted heirloom tomatoes. They’re fine one day and the next they die , appearing to just wilt. The Mr. Stripy tomato has become my enemy, and I refuse to replant the darn things. My zucchini were pretty with many blooms, they just wilted one day too. The zombies will be here and gone before I master this prepping thing. I know what you mean, “people/preppers” seem to keep changing the rules for food storage. I have about a 4-5 month supple of canned foods and bagged foods in 5 gal cans. I invested in a -$50 seal/vac and have mastered it. I am now dehydrating fresh potatoes, carrots and onions and they are turning out really good. I seal in bags as well as mason jars. When my peaches are ready I plan to can them, canning some as pie filling. I feel I’ve got the hang of canning too. I dedicated this summer to learning and perfecting food preserving and growing vegs I’ll actually enjoy eating. Not wasting much space on green leafy stuff, won’t preserve it anyway. Grow ‘carb rich foods” My 6 raised beds are great as I have trouble bending to the ground. I’m also buying produce when on sale and in season.My vegs for preserving I’m growing are squash, green beans. and onions. Never could get carrots to grow, so buy them in quantity. Same with sweet potatoes. There is just me (age 72) so I preserve less that most. I give away jelly and jam as I have a small fruit orchard. I’ve pressure sealed soup mix in pt jars (dehydrated potatoes, carrots, onion, and soup seasoning.) Don’t stress over what you have trouble growing. I planted seeds from 4 different squashes and will see which does the best, also figure out the best way of preserving the “harvest. Experiment in small batches, then eliminate what doesn’t grow well, or too labor intensive. Can’t figure it all out in 1 season. As for zombies? that is what my ..38,.357, and .410/22 is for. ( also rabbits and squirrels for meat). Just FYI if anyone is interested. I’ve been prepared all my life. I have been a “prepper” for a very long time and I’ve got to wholeheartedly disagree with the majority of this. The article is counterproductive, claiming these items as “long term” storage but then complaining that they don’t store well the way they are packaged. NOTHING from the supermarket is packaged for long term storage. Heck, here a box of cereal or crackers will be stale in 2-3 weeks if left in the original package, so no, they won’t keep long term that way. I use gallon sized glass jars for EVERYTHING, I get them free from bars and restaurants (pickles and olives come in them). I freeze or nuke everything as it comes into the house and put it directly into the jars. I just baked bread with flour that has been stored this way for FOUR YEARS and it is fantastic! Brown sugar stays fresh and moist, we save the molasses for fertilizer. I’m eating Tuna that I put up 6 years ago, it is fine, no radiation from Japan and I only paid like a quarter per can. Something not mentioned is peanut butter. PB WILL go bad but mine hasn’t yet (maybe that’s because I store it properly?). I stocked up 2 years ago before the prices got stupid, I’m eating PB that cost less than a buck a pound and will for 3-4 more years, what are you paying? Tomatoes in a can will go bad after 5-10 years but they should be canned in glass and will last decades that way….Stock up on coffee, the un roasted green coffee beans will store for a LONG time, coffee prices are set to soar soon….This article was obviously written by someone that WANTS long term food supply but isn’t willing to spend the extra 10 minutes per week required to HAVE a long term food supply. Just looking at the pantry in the pic tells us all we need to know. I don’t like commercially canned tomatoes even for short term storage. The acid in tomatoes combined with metal is not a great idea. That doesn’t mean you shouldn’t store tomato sauce or paste though! I just buy them in glass jars when they’re on sale, and can my own when I have the chance. Tuna – So because SHE doesn’t like the taste of stored tuna… no one should store it? SMH. Everything else has been pretty well covered by the rest of the comments. The key words have been repeated: Repackage and rotate. And as always, don’t take some person on the internet’s word as fact – not even mine 🙂 Anyone can make a website. So do your research and stay prepared! While I suspect you are probably correct about the non-long-term storage potential of ordinary supermarket canned tuna (whether in oil or water), you should know that high-quality bonito tuna, canned in Europe in olive oil, not only lasts for YEARS, decades even, but actually gets better and tastier over time! In fact, some connoisseurs of fine canned seafood (yes, there are such people) will purposefully store and age certain canned seafoods, such as bonito tuna, for many years in order to improve its flavor, which becomes much more savory (“umami”) as it ages. I myself have had cans of Ortiz brand bonito tuna that I had stored for eight years, and they were wonderful! The texture did not suffer much, if at all, either. I think the key thing here is 1) the high quality of the initial seafood, and 2) it being canned in olive oil. Alan, I’d be very interested in trying that! I’d like to add that if you are too cheap to buy O2 absorbers, the pocket hand warmers from any big box store work very well and are the same thing just packaged differently. If you use O2 absorbers, DO NOT place them in pails, even if you have the food grade buckets you should still use mylar bags. Put the O2 absorbers in the mylar before sealing it and only seal the pails after that is done. O2 absorbers remove the oxygen from the package thus creating a vacuum that will implode a pail or can. O2 absorbers can be used to vacuum seal things without electricity or a vacuum sealer. You obviously haven’t watched the dehydrate2store gal on youtube. She uses a meat slicer to make all of her items a uniform size so they dehydrate evenly. Then she vacuum seals them with a foodsaver (with added oxygen absorbers), wraps those bags in plastic wrap, and then further seals these wrapped foodsaver bags in mylar bags with more oxygen absorbers. Seems a little redundant to me, but she claims the food will be shelf stable for 30+ years just like freeze-dried food. Check out her videos. Why do you say “obviously”? I’ve watched a number of her videos and have learned from her, Mary Bell, etc. From my experiences with dehydrating foods, it’s not a matter of how many times you wrap them or whether or not an oxy absorber is used but the possible moisture content of the food. It’s impossible for the home dehydrator to determine what moisture might still be in the food, even when it feels really dry and crispy to the touch. Given enough time, moisture in that food WILL cause bacteria to grow. Also, there are many types of commercially dried foods that are actually cheaper than the DIY method. I’m glad you’re into dehydrating, though. I find it much easier and cooler than canning, although each is useful in its own way. Thanks for naming EVERYTHING I had tucked away! But it is better to learn this now than when tshtf. Interesting comments from many of you but why oh why would you let food sit so long that you have to throw it away?! If you rotate your stuff that shouldn’t happen BUT if you find that you have stuff that the dates are getting near and you don’t think you can use it up in time PLEASE, PLEASE, donate it to a local food pantry or homeless shelter or some other organization or person that can use it. DO NOT let it go to waste. However, I do have a question; if you have high humidity, is there a product you can use to absorb the moisture that is food safe? Like oxygen absorbers but for moisture. I know about desicant and damp rid but I don’t think they are food safe. Any thoughts? An example of how it would be used is inside a rubbermaid container that has boxes of cereal. Not for long term but say 6 months to a year. The humidity from a swamp cooler just makes the boxes damp and that can’t be good for the contents. Home canned in jars is ok, lasts many more years than store canned in cans. I had to throw out store canned tomatoes that were bulging. I recently opened a storage bucket of white rice that I sealed with oxy absorbers in 2009. It tastes just as fresh as the day I bought. I haven’t opened the one with white flour yet, hope it is ok. I made the mistake of buying freeze dried and dehydrated foods back in 2009 that I would have to be starving to eat. Yuck. I am going to start fixing some of it and add to the dog’s food. I oven can dry goods, like cereals, rice beans anything without moisture or oils in it. You can find oven canning instructions on the Internet. If I need to keep something really dry, I put it into a jar and throw it into the freezer. I do this when I open a #10 can of freeze dried fruit because it’s too much for us to eat quickly. I keep one jar in the fridge and the rest in jars in the freezer. Works well for us. Looking for a definitave answer on a couple things if I may..
1. Pickled eggs. From what I have read, if you use a 100% vinegar solution when making pickled eggs and you leave them in the fridge for the first month of so, you can then take the jars and store in a cool dark place for an extended period of time – years? If you use a diluted pickling solution the eggs must be kept refridgerated. 2. I buy Coconut oil in bulk – 5 gallon buckets. I then melt and ‘oven cann’ using 1/2 gallon canning jars. Once the lids pop/seal, I put 3 jars to a 5-gallon bucket and store in cool/dry location. Any problems or issues I should be concerned about by doing this? Someone was asking about salad dressings. We visited an olive oil plantation in Spain a couple of years ago and I asked the owner how long an unopened bottle will keep and he said pretty much indefinitely. I haven’t bought commercial salad dressings in 30 years; always use extra virgin olive oil, vinegar, garlic and mustard or whatever you like. So easy to make your own I wonder why anyone would by commercial. Look at the ingredients on those bottles. I would include anything gooey like gummy fruit snacks. Stored properly and they still turned hard even in their own packaging and after only 3 weeks. Well before the expectation. I tried several times and multiple brands. Anyone ever wonder if the myths are true about twinkies, I have heard they last for a very very long time. Not that I would want to ever try one. Rather than crackers try storing Matza they store for a very long time and taste great. Plus you can get flavors to your liking. Check’em out. I store creamy peanut butter and have it in a cool dark place of course, and have found that jars that I’ve opened 2 years past their Best By dates didn’t mean a thing still very good only had to stur it up alittle to get the oils that had seperated back into the butter. @ WOMANOFTHEWOODS, why never vac seal sugar? One more quick thing if I may, I keep alot of is salt, I’ve bought 50# blocks from Lowes and while prices are reasonable plenty of containers. I seal the containers with vaccum seal bags works great salt stays loose and fresh for ever. Salt will always be needed no matter what and a great barter item. The blocks I buy are white salt blocks and wrap it up real well with industrial shrink-wrap for palets of cartons that are being shipped and it works great after once used as a hot house. I live in a suburb of Venice, Italy and it is HUMID almost every single day of the year. It will go a little over 100F in the summer but rarely goes below 32F in the summer. The ground was all swampland. We always have problems with bugs in our pasta and flour and even in our hermetically sealed wheat. It’s hard to find a cool dry place for food storage. I have vacuum packed store bought rice and canned and jarred fruit and vegetables, including tomato puree and canned tuna. Can you give me some advice on how to store food and which foods, for the long term in these conditions? Thanks! Suzanne, if you haven’t already tried desiccant packets to absorb moisture in food, that’s where I would start. They’re inexpensive and some are re-usable. You can buy them online. Place them directly in the food containers, and they will absorb moisture. You might also consider an electric dehumidifier if all your food is stored in one area. It will use a very small amount of electricity. Where pests in your flour, pasta, and wheat are concerned, the reason you ended up with bugs is because their eggs were in the food to begin with! Place tightly sealed containers of these foods in a freezer for at least a week, and if you combine that with an oxygen absorber of the right size for the container, the freezing temps along with the depletion of oxygen will kill the eggs. Start doing this now with the oldest dry food you have. Just make sure the containers are completely airtight, otherwise you’ll end up with freezer moisture in your food and will be dealing with other issues down the road. Another concern with humidity is rust. Watch for rust on your canned foods, and be sure to store them off the ground and away from exterior walls. As far as heat goes, that’s a really difficult problem. I live in Phoenix where summer temps late at night are still in the 100’s! You just have to do the best you can. We keep all our food storage in one medium size bedroom, keep the door closed, and the blinds drawn. We keep the thermostat at 77-78F all summer. Finding a way to lower the temp in the storage area is pretty much your only choice unless you have a basement or a part of the house that tends to stay cooler. A more extreme measure would be to buy a stand-alone air conditioner to use in that room. All the foods you’re storing are great for food storage. Keep doing what you’re doing. Some of us work with more challenges in this area than others, and all we can do is do the best we can. Good luck! Grains once milled/ground/flaked for Flours/Cereals/etc expose the oils that become rancid very quickly according to Sally Fallon’s book ‘Nourishing Traditions’; best to store grains & mill/grind/flake as needed…. Our ‘Raw, Fermented & Real Nutrition’ Meetup group meets Saturday mornings in Oregon City; shares a wealth of info, resources & expertise that is constantly evolving from Good/Better/Best choices… All are Welcome! I realize this was written back in June. But, for anyone who hasn’t yet put any stock into the Fukishima/Tuna radiation issue should Google “Fukishima and Tuna”. There have been more articles recently about this issue. Frankly, if you can’t pinpoint where your tuna is coming from, I wouldn’t take a chance on tuna from the west coast. Especially, not with all the other EQs and aftershocks around the reactor. I think I’d cut my losses on all seafood from the West coast. The risk vs. benefit are just not proportional. Not that one normally stashes away soft drinks, but try sipping a Diet Coke purchased some time ago. It is awful! (I do like the freshly bought cans.) Therefore, I’m consuming more wine theses days – properly stored, they can become even nicer with time. I have an off-the-wall question. Can a person extend the shelf life of store bought canned foods by sealing them in mylar with oxygen absorbers? There are advantages of canned foods over dehydrated/freeze dried. Anyone have any experience or thoughts? Your canned foods are just fine as is. Keep them stored in the coolest part of the house. What if you are in a situation where you have to leave your home? I am seeing all of these ideas and how glass jars are the answer for long storage, but I can’t imagine if you leave your home how that is helping you. What is it that I am missing here? I know I sure don’t want to take along 90 days worth of food stored in glass for a family of 5. Actually, I don’t recommend storing large amounts of food in glass jars. They’re heavy and breakable. They ARE handy for storing smaller amounts of food that need to be vacuum packed, such as nuts, chocolate, and shortening. I recommend PETE plastic containers, mylar bags,and buckets. For those who like to can, obviously glass jars are the only choice. In an evacuation, I would recommend taking a limited number of canned goods of things like homemade soup, stews, marinara sauce, but only if you have a way to transport them safely, and there is such a product on the market. Just keep the box you bought the jars in. Perfect for storage and transport. You have many valid points, but there seems to have been one thing you overlooked. When storing food (or anything, really) for survival, you need to rotate and replenish. That means, when something is getting close (like, a few months) to the expiration date / end of shelf life, you should use it, and replace it. 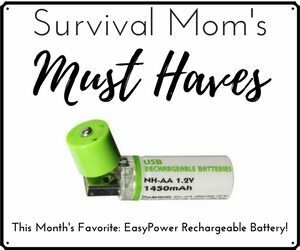 Whether it’s food, medicine (as well as other first aid supplies) or batteries. Unless you are planning on stocking up on pre-packaged survival foods that have a 25 year shelf life, everything you get at the market or grow yourself has a limited time before it either needs to be consumed or tossed. I have been waiting for someone to post the obvious. Rotate Rotate Rotate!!! It is so important to realize that we do not have the equipment to preserve foods for long term like commercial companies. We can extend their life with some simple methods but there are select food items that can naturally last indefinitely. If you want to survive… have a garden, hunt/fish or raise livestock (chickens being the easiest). In the old days people only “prepared” for a year! They rotated and produced food for the next year. NOT the next 20 years!! Do not risk your families health in an emergency situation!!! IF anyone has any concern about possible radiation contamination in foods, you do have a few ways to check on it. 1. Contact your local Nuclear Power plant and request to talk to the RPM ( Radiation Protection Manager ) . 2. See if you have a university that has a ” Health Physics ” program. Ask to speak to the head of the dept. and see if they will do an analysis. 3. See if your state has a Radiation Protection dept. or Health Physics Dept. and ask for an analysis. Make sure you have placed the flour in the freezer for at least a week. That will eliminate bugs, unless any chew their way into your bags. If you keep your flour stored in a dark and cool location, that will extend its shelf life. Dani, another thought about all that tuna. Find a can that has the oldest date stamped on it and give it a try. I don’t think that every brand of tuna and every type of tuna will have the same results over any specific period of time. If the oldest tuna is fine, then probably all of your stored tuna is fine. However, I would start using up some of that older tuna and add new cans as you’re able. Regarding flour …. what about the canned flour from the LDS store? I read that they should be okay for up to 10 years – does that sound about right, or would you consider those to be more likely to turn bad sooner as well? I also wonder if the flour purchased from the LDS store would tend to last longer than the stuff folks may have on hand that the self-canned using cannery equipment? We do have wheat that I intended to sprout as opposed to grinding … maybe I need to rethink my plan. I was thinking, even if I factored in less than cool enough temps to store the LDS canned flour, I could eke 5-7 years out of it — maybe not though?? The flour from the LDS store may be fresher than what you would buy at a grocery store, and in that case, its shelf life will be longer. “Up to 10 years” could mean anything, though. Just like the food storage companies that say their food is good “Up to 25 years” or more. From your comment, I can tell that you’re familiar with the optimal storage conditions for food: cool, dark, dry, no pests. All that makes an enormous difference in shelf life. I’ve heard of one food storage researcher who had brown rice in his very cold basement, and it was still fresh after several years. I suggest opening one of the oldest cans of flour and using it in a few different recipes. If you make a loaf of homemade bread, and it turns out perfectly, then you can assume all flour purchased at the same time will be fresh and give good baking results. When you open the can, you shouldn’t smell any rancidity. If you do, toss out the flour. If I were you I would take a deep breath. 400# is a lot. But, your superior storage methods should give you a bit of extra time. I keep mine in just zip locks in buckets and even after a year and a half or so, it has still always tasted fine to me. Another thing, I don’t think it will ever “go bad” to the point of harming you. Unlike the wetter foods that will get dangerous bacteria, botulism, etc etc. I think the main complaint with the flour is just taste. It will keep its calories and not make you sick when stale. If I found myself in this place, I would make a pact with myself. Not one pound will go to waste. Find some friends to trade with. I would be happy to trade wheat and rice for your flour lb for lb for probably 50 or more lbs. Maybe you can find 3 or 4 friends like this. Next, if you haven’t already, commit to all home made breads for the next year. If you don’t like spending the time, use a bread machine (get one at a second hand store for 10$). Try making your own pasta. Also, something most modern people don’t think of that is very tasty and very satisfying, is making “dumplings” with flour, water, egg, salt, and seasonings to taste. mix up into sticky dough and drop bits from spoon directly into boiling water or soup. Almost like a meat substitute and good in soups, with red sauce, white gravy, even fried in butter with sugar and cinnamon. Consider it all practice for tough times. I did at first but now these are my family’s favorites. With bread, biscuits, and dumplings, we probably go through 4-5 pounds of flour a week. Just hope your not gluten intolerant or on low carb diet : ). I guess you could also consider cookies and such, but we try to avoid baked “sweets” in our home. If you make it a success you should write up an article on it. I just threw out all the crackers in our pantry when I opened a box and found it was rancid and mentioned to my husband I wouldn’t be storing crackers from now on – more room for other things. The mold in maple syrup is not harmful and can just be skimmed off, you can boil the syrup for a minute to help prevent the regrowth. Didn’t those crackers smelly horribly?? I couldn’t believe it the first time that happened to me. And yes, it’s happened more than once. LOL Saltines are so very dry that you don’t think about them containing any fat of some kind. Make hard tack from your flour. Hard tack was kept for years on sailing ships, barreled without mylar or oxygen absorbers. Why does he say not to vacuum seal sugar? You can vacuum seal sugar, but don’t add an oxygen absorber. This is because the absorber heats up when it comes into contact with oxygen. It’s a chemical reaction. In the case of sugar, that heat could cause the sugar to harden. I have a lot of maple syrup, one large jug that has been open all year sitting on the pantry shelf that I use to fill the small table bottle with and have never had a problem with it going bad, but then again I only buy the large jugs of Mrs Buttersworth which is thicker than most. I have never had problems storing Brown sugar. If it gets lumpy we use it to make caramel sauce for caramel popcorn or to dip apples into. You might add Peanut butter. I have opened and used some brands without complications 5 years after the sell by date but there are other cheaper brands that did not last that long. The Natural ones with no added oils last the longest as it is the oil that goes rancid over time. I do rotate my stock but do not follow those use by dates strictly. The FDA web site has stated that most of those dates are not necessary and has a guideline as to how many years past them your foods should remain safe. Also if you have crackers or chips that are only minimally stale place them on a parchment paper lined baking tray and heat them in the oven. It crisps them up and the paper absorbs the oils. I always place my corn chips in the oven before eating them as it makes them taste fresh made. The original instructions for potato chips was to cook them in the oven before serving and it really does make them taste better. I will say however, that my Mother In Law once oven canned a load of walnuts (I think she inadvertently toasted them, as they turned out crispy brown inside) and I opened the last jar after 10 years in storage and they were not rancid at all. I’m still trying to figure out what she did, as normal oven canning doesn’t seem to do the trick. I’m playing with vacuum sealing and using oxygen absorbers to see if that helps. End Times Report suggests dipping tin cans into paraffin wax to extend the storage time; but I don’t think that will work with tomatoes since it’s the acidity on the INSIDE that’s the problem. I was once told to include dog bisquits in my backpack as emergency food because if lost, you might scarf up your tasty food out of fear, boredom and hunger but you won’t eat the milk bones until you’re starving and only enough to fill full thus lasting longer. That struck a logical cord with me so I incorporate that philosophy in my storage. There are things we enjoy and others we’ll Need nutritionally or only out of necessity/desperation and hunger. For some reason I cannot reply to any post. I tried to comment on the first one but I can’t. Real maple syrup (not the fake syrup that most places sell) last longer if stored in glass jars instead of the plastic ones it normally comes in. You can also put it in the freezer for long term storage. It doesn’t freeze. any cream based salad dressing (like ranch and blu cheese) does not last for long periods of time, but non-cream oil based salad dressings like vinaigrette and most types of Italian dressing last almost forever in their sealed bottles; even opened most of these will last 6-9 months in the fridge easy without too much risk of spoiling (i’ve personally used Ken’s Italian dressing almost a year after it was first opened and tastes almost as when I first opened the bottle). If, you can’t find desiccants or oxygen removers – I use dry ice. Dry ice is compressed CO2 which is heavier than air (kind of dispells the myth about it being a green house gas). Get everything you want stored sealed up and placed in a food bucket. Place about 1 pound of dry ice on top and let it thaw. 1 pound produces enough CO2 to displace the O in a 5 gallon bucket. When the dry ice gets to about the size of a quarter, go ahead and put the lid on and you have an oxygen free storage environment. Please see my question at the end about BPA leaching from stored fruit and tomato products in cans. I have stored saltines, Ritz, and graham crackers–in their original packaging–for long periods in a dark, cool, dry basement. They’ve never smelled or tasted bad. I don’t remember if any were stored for more than a year, but it’s possible since we rarely eat those things. The last tuna I opened was gray on top. I don’t know how old it was (I threw it away without thinking about checking the date), and I don’t know what that gray was. Could it be mercury that settled to the top or stuff leached from the can? I’ve been afraid to open any more. I have had the seals on plastic bottles of condiments, like Cholula, mustard, and ketchup, unseal and the contents go bad. I agree with another reviewer that plastic bottles are not a good choice in the long run. Once, I got terrible stomach pains from instant potatoes that were probably well past their expiration date. Later, I looked at the label and saw they had butter in them. I suppose that’s what went bad. We’ve been storing food a long time. We started out and have continued to store for our children, even after they’ve moved out. So, we have a lot of old food. One of the problems for us is that we don’t eat much canned or processed foods. For us, I’m thinking we should limit many of the everyday foods, like canned fruits and vegetables, that some people eat regularly–but we don’t–and focus on saving fresh garden seeds for when shtf (and canning our own, which I don’t do much of now). Of course, we’ll continue to grow a lot of our own food every year, if we can, AND save seed, as I’ve always done. But it doesn’t make sense to buy a lot of foods that we don’t eat, even if it seems practical, since it doesn’t get used and eventually expires. I am especially concerned about older ACIDIC fruit and tomato products in cans with BPA. Do we dare consume these even if they are not considerably old? How much BPA might we ingest if the fruit’s acidity leaches more and more junk out of the cans the longer they sit on the shelves? 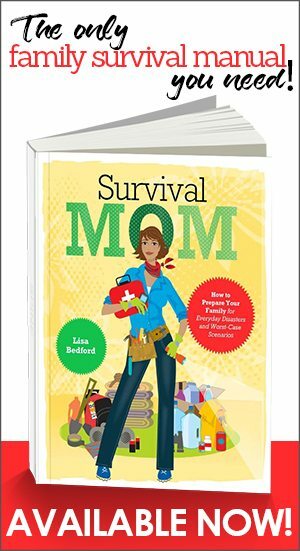 Thanks for your site SurvivalMom, just saw it on a pinterest thread. I was so lucky to have grandparents with a farm. I spent all my summers there and many weekends, knew I was not cut out for city life even as a kid. I learned most everything from them, and 15 yrs. semi-off grid in Alaska. Can what food you are able, freeze or dry the rest. Most foods contain some amount of fat (animal or veg.) all goes ransid in time due to heat and/or oxygen. I keep coffee-raw nuts-dried fruit, tobacco etc. in the freezer as there is space. I’m a scratch cooker, pinch of this-that,then taste. Remember to store herbs & spices. The LDS web store is good for products and info. They used to store 7 years of food, but now only for 2 years. (All foods degrade in time. ROTATE ITEMS. It’s a pain I know, but I mostly only shop once a month, then spend 2 hrs. to sort my pantry. Compare your purchase date to expiration dates. Some stores not so good at rotation. Acidic foods will eat through cans in a few years.) There are many diy slotted can storage racks, I need to make a few. Try to dedicate 1 hour a week to research food storage, cellars, why non-GMO foods, Sourdough bread starter, etc. keep a hard copy notebook- no electric means no computer. Remember dry goods (Tp, kleenex, first-aid, generator & lantern fuel, a gun + ammo even a .22 for small game will work, books, cards, kid’s games, , , And thanks Lee (Feb 1,2015) for your CO2 comment. Our world is still coming out of the little ice age. We are in a climate change, Not global warming. Snow in NY, but rain in Alaska, really its just zones moving around. 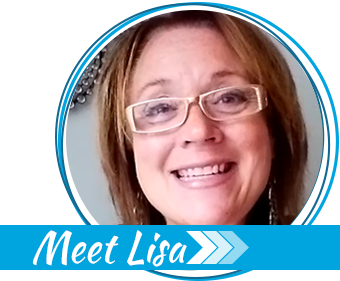 It’s time to plan-prepare, no need to be a “Chicken Little”. To the cracker lover’s- find a recipe- they’re very easy to make. I read a great article on canning flour for long term storage. the trick is to pasteurize it mason jars in a 200 degree oven for an hour quickly removing and sealing. The claimed to have tested stores of flour that were over 10 years old and noticed no difference in taste or usability. I’d really like to read that article, Fred. When you add heat to food, you have to be really careful that it doesn’t deteriorate the nutrients, flavor, and texture. That’s why it’s so important to keep stored food in cool temperatures. I’m not a big fan of dry, or oven, canning for that reason. I have some large cans of tomato sauce. It is still good if it’s from 2011? A prepper told me to throw it out. Also my molasses bottles have no sea.One day I was checking my supply and had the bottles laying on their side. Well, some leaked.Is it still good? Thanks! Canned tomatoes have a relatively short shelf life. Their acidity can affect the can’s seal. If the seals are all intact and there is no bulging of the can, the tomatoes are most likely safe to eat but their flavor, texture, color, and nutrients will have deteriorated. As far as the molassas is concerned, I can’t find any definitive information about whether or not a leaky bottle affects the remaining contents. However, molassas does have a shelf life of about a year and a half to two years. It can crystalize and even begin to mold. The shelf life of most every food can be extended by storing it in a very cool location (a consistent 70 degrees is best) that is dark, dry, and free of pests. For Mary Kay, most molasses are 50% sugar by weight. Been reading on making spirits (Rum) there seems to be a lot of variation in quality for home brewers buying in bulk. But if product leaked out, bacteria has a way in. I would not trust to eat it. I don’t understand. Why are you keeping stuff around for years? The key to food storage is to store what you eat and rotate, rotate, rotate. I have a tendency of buying grocery and veggies in bulk and then store them in freezer, so the advice of not storing tuna for long is an eye opener for me. Also I am pretty prone to store the flour for long, will take care of the process and check the storage places repeatedly. Ok I totally understand the dressing one, but my biggest problem is finding a fairly simply ranch dressing that I have the ingredients on hand regularly and is easy enough that my wife can make, any suggestions? I made the recipe from Pioneer Woman and it had WAY too many ingredients for my liking. You can buy the powdered Ranch at Sam’s In large containers and make it fresh every time. I agree with a lot of these comments. YOU MUST ROTATE! The stuff I have stored for long term storage, that isn’t in my regular rotation, I inspect at least 2 x year. I find oils, like tuna fish, salad dressing, even sealed olive oil, are the worst culprits for spoilage. Even things that have oil IN them, not as a primary ingredient, are subject to spoilage. I have recently purchased a HYGROLID, a handy dandy little implement, fairly cheap, that you use to test the moisture content of home\-dehydrated foods. I’m hoping that, with practice and using this monitor, I can start to dehydrate foods to a safe level WITHOUT drying them out into crispy nuggets :)) I have never had any trouble storing flour. I store it in glass canning jars, in a cool basement. So far, so good, after 2 years. I also think it’s pointless to store things that need refrigeration after opening, like salad dressing, etc. I’m planning on a situation where there may not be electricity for refrigeration. On that same point, I like to store things in small enough quantities that we’ll be able to eat it all the same day, in case there’s no refrigeration for left overs. Good job. Keep posting. Well, my oil packed tuna did get mushy. It wouldn’t have KILLED us to eat it, if we were starving, but otherwise, it wasn’t edible. There are tuna companies that test their tuna for mercury, radiation, and other contaminants. Safe Catch is one brand that I reviewed a while back. Great tips. Im a new englander…we have lots of real maple syrup not the mass manufactured stuff Im talking beautiful shades of amber and dark. That seems to last a very long time in the original container unopened and kept as cool as possible. You might have to skim some off eventually, or reboil and move to a new jug if it hasnt been stored properly. Or throw it out. Its fairly expensive and a treat in our house so I really dont want to ditch it if I can help it. I suppose we could always tap some trees if shtf around here and boil over a fire and do our own sugaring LOL. Im wondering if you have any dry dressing recipes that dont call for mayo? Ive been on the hunt for a ranch or something like it if shtf. Kids love ranch and that might be the ticket to getting them to eat from the garden! I’m sorry and I’m not trying to be sarcastic though I know sometimes I can. But none of your advice sounds really educated whatsoever but a woman’s intuition. Most of what you said is incorrect and it’s not worth my time to get into it. But before you make statements, you really should research it to make sure that what you’re saying is correct. I don’t even know where to start with your comment, so I’ll just leave it as is. Readers can draw their own conclusions. Pay no attention to people like him. His comments were rude & decidedly unhelpful, so I will hope that I do not run into him should the SHTF. I think what she means it’s that it’s in everyone’s best interest to spend money and stock up on foods their families really truly enjoy. Just this summer one of the freeze dried food companies had fettuccine Alfredo sauce in a can. I bought six thinking it would be a great addition to my food storage (prepping for one year). It was disgusting…. Absolutely disgusting and I couldn’t return it! That’s money I could’ve spent on foods my family really enjoyed! Freeze-dried foods of ANY kind are pretty disgusting! Freeze dried foods are great if you stick to the main ingredients and avoid the “entree” or prepared meals. Freeze dried meats, vegetables, fruits, even butters, sour creams, yogurt, etc. once reconstituted with water taste the same as if just purchased. The articles on this website are well-researched and offer valuable information to the many loyal readers, myself included. I couldn’t possibly disagree more with your inane, unfounded criticisms, Louis. Have a nice day. Just found this site via Pinterest. Lots of good and interesting info! I do have a question: I live off grid in the AZ desert, and have many days well over 100 degrees in the summer. My dream of a root cellar is still a long way off, and there is no a/c in any of our buildings (yes, it gets VERY hot). In the meantime, how long can I store food in a hot building? We do have a freezer (recent acquisition – YAY! ), but it runs off solar power and is off at night. Plus, there’s not enough room to be storing things like flour, rice, etc… Any suggestions? Thanks! Lora, I wish I had better news but heat is the #1 enemy of stored food. It deteriorates it more rapidly than anything else. I lived in the Phoenix area for many years, so I’m familiar with the heat but other than having either a cool, underground storage area or A/C, there’s really no other solution that I can think of. What’s sad for people in the desert is that the optimal storage temp for food is 70-75 degrees! Yikes! Ain’t gonna happen in the Sonoran desert. Do you have plans to add additional power sources? I’d recommend using the food you have stored — it’s not going to be a viable source of nutrition the longer it’s stored so you might as well use it now. Can you store food at another location that does have A/C and is within reasonable driving distance? It might be worth the storage fee (if it’s a storage unit with AC) so the food doesn’t get ruined. At home, just keep maybe a month’s worth on hand and rotate. you can have a lifetime supply of certain foods that are properly stored. Certain foods can stand the test of time, and continue being a lifeline to the families that stored it. Knowing which foods last indefinitely and how to store them are you keys to success. Typically, those who store bulk foods look for inexpensive items that have multi-purposes and will last long term. I have a question. How long can I store mixed dry and wet dog food? I mix our dogs dry food with the wet food. I use a vacuum sealer. How long will the packets last in the fridge? I was raised with the attitude you didn’t store food, you just had a lot of it (6-14 months) between the oldest item you took off the shelf and it one(s) you put in on the other side to replace it. We found the DIY can rotation boxes and they work great for the few canned items we use. My Gamma Seal lids are marked and numbered with taped on notes. I start with W Wheat 1, then W Wheat 2, to the last number, and switch them as I use a pail. I can have 6 pails in the kitchen, for other stuff I remove a 1/2 gal mason jar full. I’ve seen a method on Pinterest for oven canning cereal & flour. Suppose to keep for 10 years. I haven’t tried it but it sounds pretty easy. Nuts go rancid also!! However, You can toast them and let them cool , dry can them with a vac-n-seal. They are delicious for months . Toasted makes them all the much better and won’t mold. Yummy.. No freezer space needed. Nuts are another staple that has a limited storage life. Their nutritional fats will go rancid over time. Anything with powdered cheese in it MUSH BE REPACKAGED. the cheese goes rancid. Yep, it’s that fat content. What happens to peanut butter after the expiration date? I have several jars that i doubt we’ll get thru in time. Can I put it up? Canned pinapple and mandarin oranges will eat right through a can after a short life. Also I try my best not the store canned goods that have a pop top. They seem to burst easy if food is not stored at t constant temperature . Looks like this thread is a bit old when i found it, 2017. A load of good information. Some…. not so good. I hope someone will see a new posting. As an S.D.A. I have stored food all my life but, some things like oven canning are new to me. I love it. As I said, Oven canning & Vac-seal in jars is new to me, about a year. Something I tell my friends when having a food storage is to use it. Only buy what you eat on a regular basis. Rotate through it. For every one item used, buy 3 to replace it. But keep food storage rotated. New in back old in front. That way, you know how to use your food storage, its something everyone will eat, and you are prepared with fresher foods that haven’t just sat there for 6 years. Never let food or water sit or it goes bad fast no matter what you do to properly store it. Water does go bad guys! And keep a years worth stored! You don’t need more than that and if you keep seeds, you will be able to replenish your stock fairly easily but slowly. Twinkies absolutely DO NOT last. They become really hard and the plastic wrapper they’re in self-inflates after about 18 months. Italian Salad Dressing (that doesn’t contain high-fructose corn syrup) lasts for years and years after the expiration date. Aside from the salad dressing, all of the foods listed can be stored long term if they are properly prepared. Getting by on SoSec forces us to be careful. We get stuff weekly from the Food Shelf but must remember that most of that stuff is already at or past the due date. OATMEAL–For several weeks we got oatmeal in paper sacks from USDA…had maybe a dozen or so, so decided it better to store in the reusable protein shake canisters I had saved. About a year later I opened one of the canisters and was HORRIFIED. There were a whole bunch of tiny brown worms–YUK. Putting some thought to it, I realized that all oatmeal is made to be stored in paper sacks or the round cardboard containers like Quaker Oats. Why? Because the oats are not yet totally dry. Sealed in the plastic containers, they had no way to completely dry! The microscopic eggs hatched. Some might say oh boy, protein. I say YUK! Always store oatmeal (steel cut is best) in its original paper or paperboard container so they can continue to dry. Frankly, I have lost my appetite for oatmeal altogether.